The feature wall in this master bedroom needed an update from the original dated look. 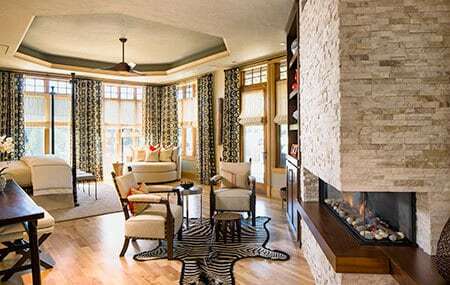 Built-in storage and shelving in rich, dark walnut contrasts nicely with the Colorado Buff stacked stone fireplace surround. 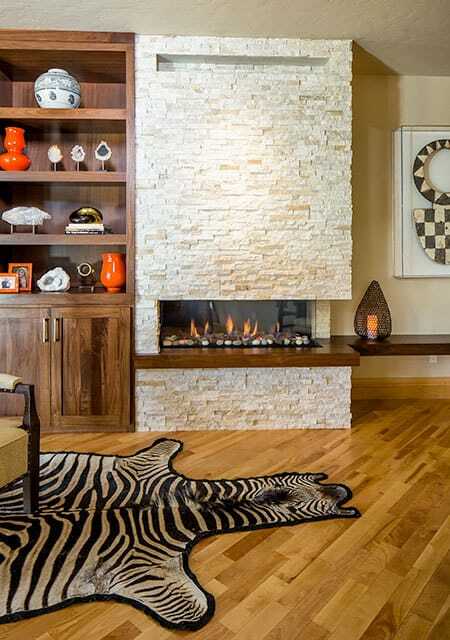 The corner gas fireplace adds a contemporary edge to the design.